Why are some children affected by parental conflict while others are not? New research out today found that it is the way children try to understand the arguments their parents have that can lead to emotional and behavioral problems. When children blamed themselves for the conflict between their parents, they were more likely to act out in a behavioral way i.e. anti-social behavior, being aggressive etc. But if they felt threatened by their parents’ arguing or thought their parents would split up, the child was more likely to experience emotional problems such as depression. The research team suggest that it is important to teach families conflict resolution skills to reduce the negative effects of parental arguments. Let’s face it. 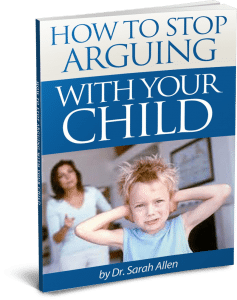 disagreements are always going to happen in a family but by developing good channels of communication and understanding, not only between the parents but between all family members, you can reduce the negative effect conflict can have on children.